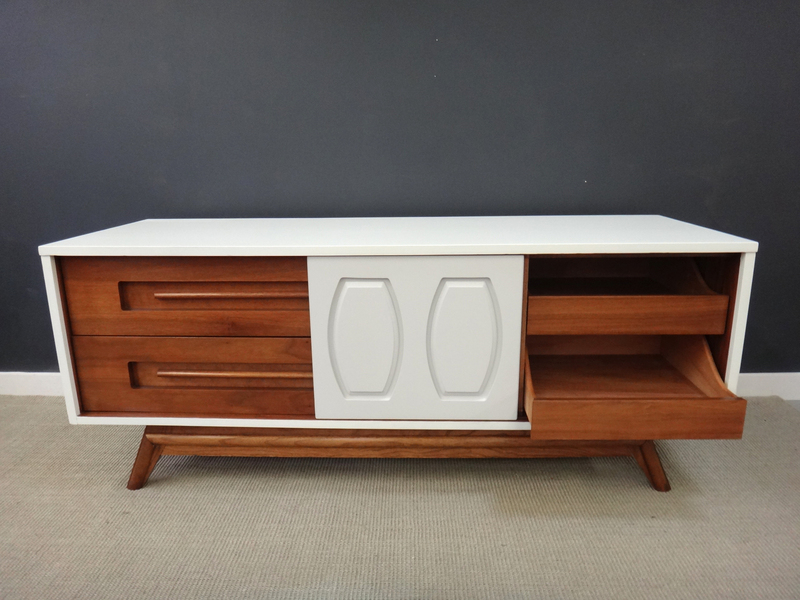 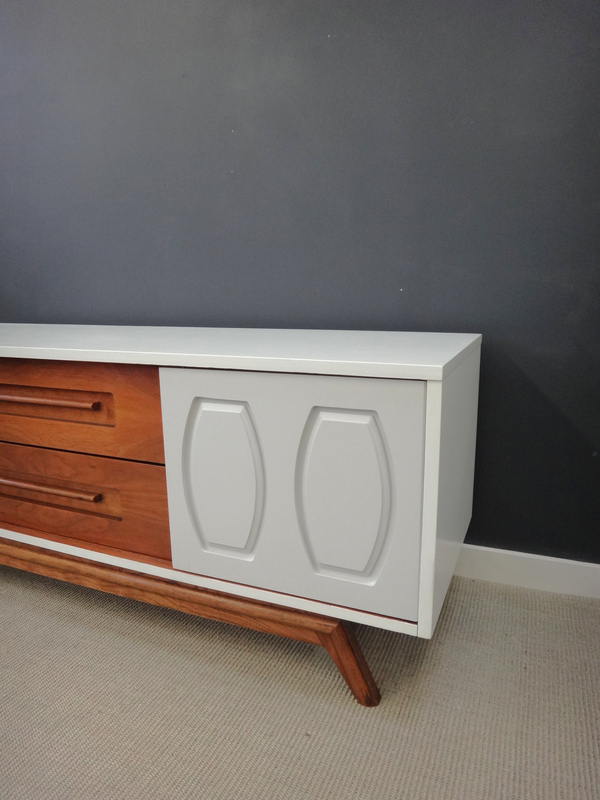 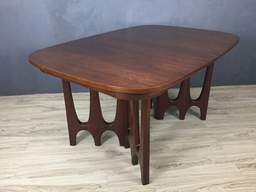 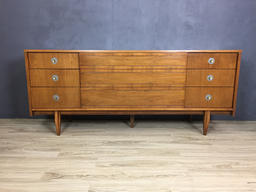 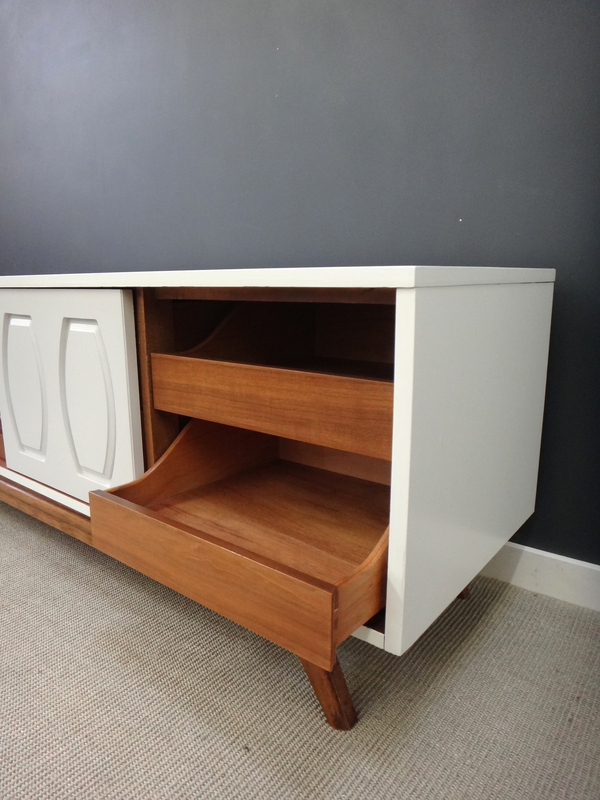 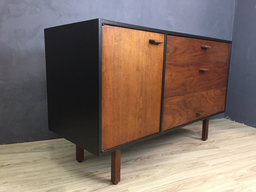 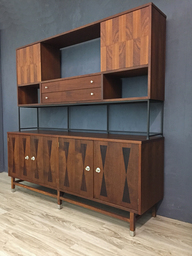 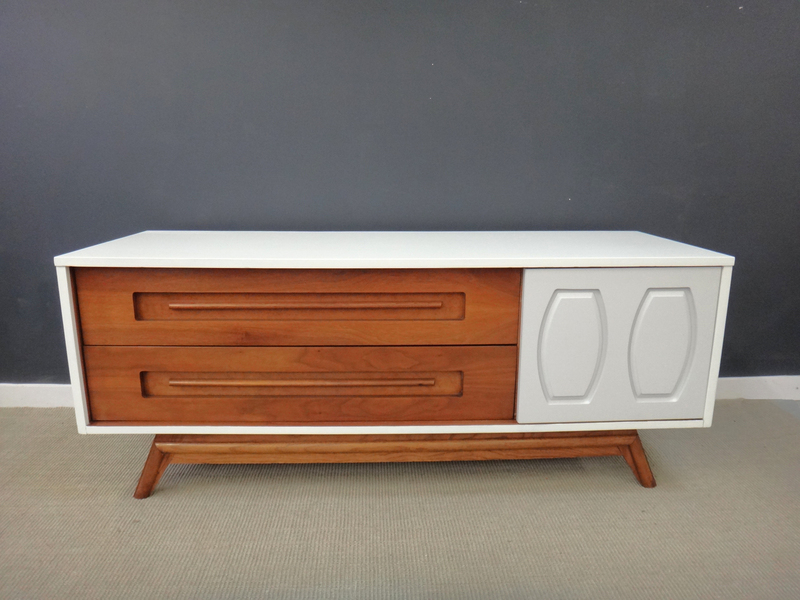 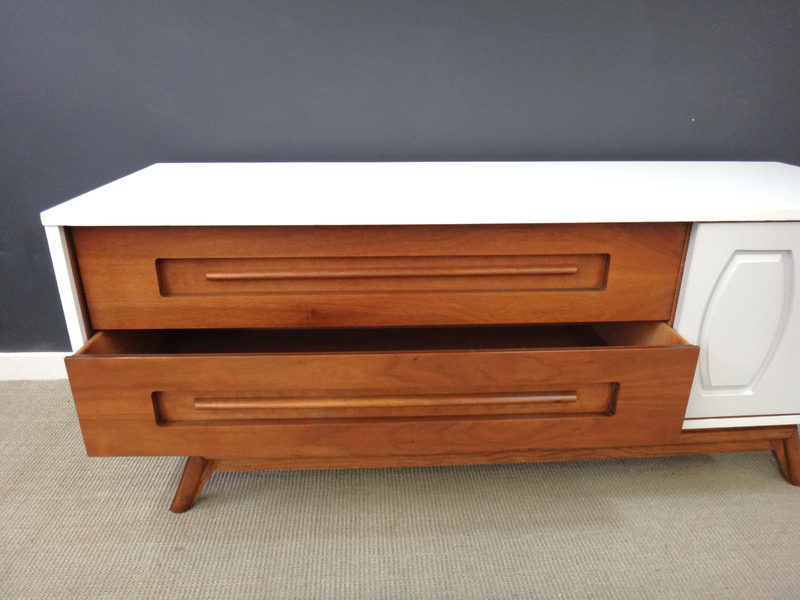 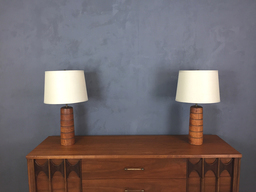 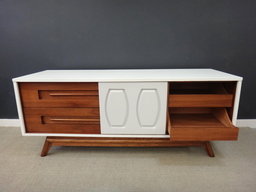 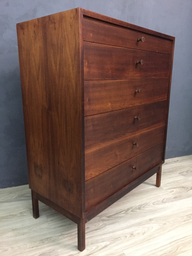 This late mid century American-made bureau/credenza was part of a multi-piece bedroom set, featuring unique sliding doors with interesting architectural detailing. 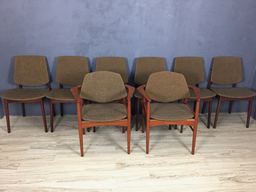 We updated it with a crisp white frame and contrasting pale gray sliding door. In addition to the two large capacity drawers, the slider conceals two inner drawers. 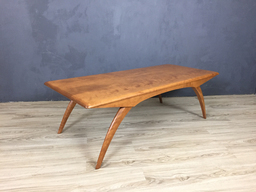 Would make an excellent stand for a large flat screen TV. 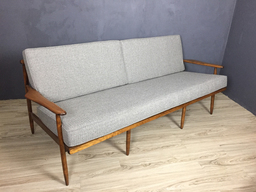 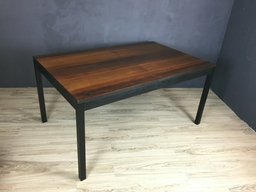 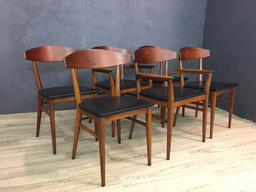 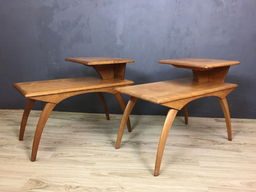 Could also be topped with a cushion for a uber functional bench/bureau.